SAN FRANCISCO (Feb. 25, 2014)—The Golden Gate National Parks, consisting of three national park units, span more than 80,000 acres and 91 miles of shoreline of federal, state and county open lands along the Northern California coast. Over half of the bird species of North America and nearly one third of California’s plant species are found within these boundaries. To better understand, appreciate and protect this natural treasure, the National Park Service, National Geographic, Golden Gate National Parks Conservancy and Presidio Trust are teaming up to host a 24-hour BioBlitz species count and two-day Biodiversity Festival, Friday Saturday, March 28-29, 2014. BioBlitz 2014 will take place in several national parks, including Muir Woods National Monument, Fort Point National Historic Site and locations in Golden Gate National Recreation Area such as the Marin Headlands, Crissy Field, the Presidio, Mori Point and Rancho Corral de Tierra. Part scientific endeavor, part outdoor classroom excursion and part celebration of biodiversity and the spirit of exploration, BioBlitz 2014 will bring together 300 leading scientists and naturalists from around the country, more than 2,000 students, including 1,400 students from the San Francisco Unified School District, school groups from surrounding counties and thousands of Bay Area community members. Together they will comb the parks, observing and recording as many plant and animal species as possible in 24 hours. Inventory activities include counting seals, documenting insects, spotting birds, examining aquatic invertebrates and using technology to better understand the varied ecosystems of these unique national parks in an urban area. The Biodiversity Festival — to be held at Crissy Field’s East Beach in the Presidio of San Francisco from 9 a.m. to 5 p.m. on Friday, March 28, and from 9 a.m. to 4 p.m. on Saturday, March 29 — will feature science demonstrations and exhibits, hands-on activities provided by prominent science and environmental organizations, photography workshops, food, music and art. Explorers of all ages can enjoy the festival and can “graduate” from Biodiversity University by participating in a variety of activities. 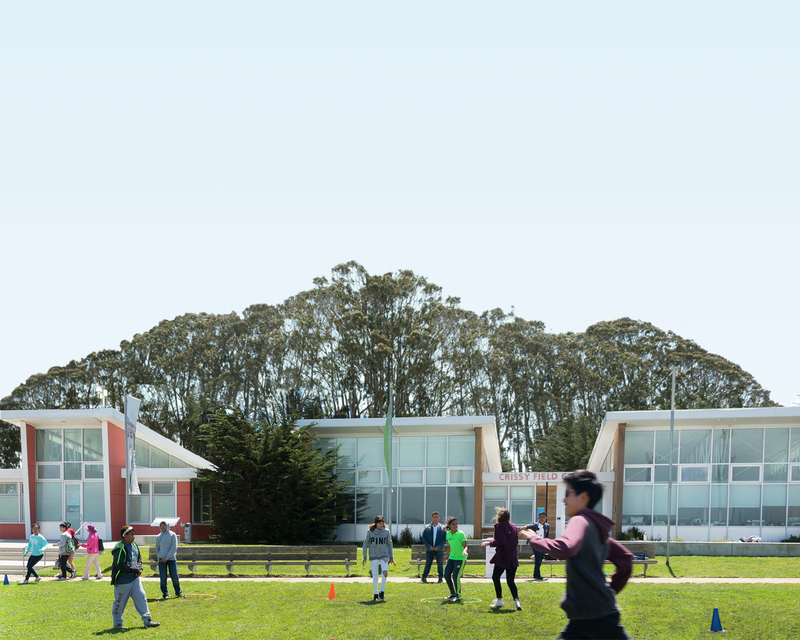 The Crissy Field Center will be transformed into the BioBlitz data center where BioBlitzers will work side by side with scientists to identify and catalog what is being discovered in the field. All festival events are free and open to the public. A major component of BioBlitz is the opportunity for the public to work alongside leading experts to count, map and learn about the parks’ diverse organisms — from microscopic bacteria to the towering redwoods. The Golden Gate BioBlitz is the eighth in a series of 10, held at different national parks across the country, leading up the centennial of the National Park Service in 2016. A longtime partner of the National Park Service, National Geographic helped draft legislation to establish the Service in 1916, has given many grants to create and sustain national parks across the United States and has extensively covered the parks in its media for nearly a century. The BioBlitz program is the latest successful collaboration between the two partners. The first BioBlitz took place in 2007 at Rock Creek Park in Washington, D.C. Others have been held at Santa Monica Mountains National Recreation Area in California in 2008; Indiana Dunes National Lakeshore in 2009; Biscayne National Park in Florida in 2010; Saguaro National Park in Tucson, Ariz., in 2011; Rocky Mountain National Park, Estes Park, Colo., in 2012; and Jean Lafitte National Historical Park and Preserve outside New Orleans in 2013. Smaller scale events take place throughout the year at various national parks across the country. For more information, visit nature.nps.gov/biology/biodiversity/. The Golden Gate BioBlitz 2014 has been made possible through generous corporate support from Verizon Wireless and Southwest Airlines, and generous foundation support from the Verizon Foundation, Evelyn Tilden Mohrhardt Fund at the San Francisco Foundation, the Gordon and Betty Moore Foundation, the Harold M. and Adeline S. Morrison Family Foundation and the Pisces Foundation. Additional organization support has been provided by NatureBridge and the Point Reyes National Seashore Association. Public registration for the Golden Gate National Parks BioBlitz opens on March 3. To be part of an inventory team, participants must register online at nationalgeographic.com/bioblitz. Participation on inventory teams is limited, and spots will be filled on a first come basis. Children ages 8 and older, accompanied by adults, may participate in the free inventory opportunities. Everybody can enjoy hands-on fun at the two-day Biodiversity Festival at East Beach in the Presidio of San Francisco. No registration is required for the festival. To learn more about BioBlitz 2014 and the Biodiversity Festival, visit nationalgeographic.com/bioblitz or call (800) 638 6400, ext. 6186. For more information about the parks, visit nps.gov/goga. The Golden Gate National Parks BioBlitz is a two-day event on March 28-29, 2014, hosted by the National Park Service, National Geographic, Golden Gate National Parks Conservancy and Presidio Trust. The eighth in a series of BioBlitzes being held in national parks across the United States leading up to the centennial celebration of the National Park Service in 2016, the Golden Gate National Parks BioBlitz will gather thousands of volunteer scientists, students and community members to measure and highlight the biodiversity of these unique national parks in the heart of the urban Bay Area. The free Biodiversity Festival will be a public celebration of the biodiversity in the Golden Gate National Parks, featuring hands-on science and nature exhibits, photography workshops, food, art and entertainment at Crissy Field’s East Beach in the Presidio. For additional information, visit nationalgeographic.com/bioblitz.